Well, despite the malware stuff, I was pretty productive. Working full time from home surely bring a lot of inspiration. I started doing custom illustration again but in very limited number, gathering more ideas for a book and also preparing my new line for baby and kids :D I also had to move Fat Bunny second collection stock along with the packaging (woven label, tags, wrappers, etc) from my parents’ house and fit everything in my working space. So I decided to have a SALE period (16 – 27 June 2016)! Canvas pouches of La Vacacion (only 3 pcs left), Royal Darling, Tres Belle (only 4 pcs left) & Sugar. 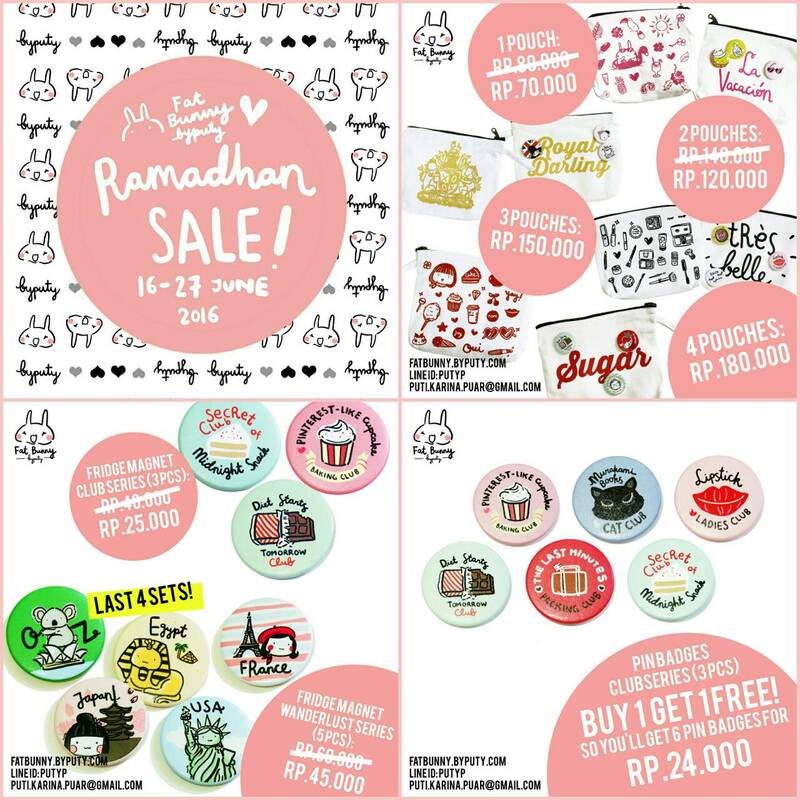 2 packs of pin badges with 1 one pack price: 24k IDR! I guess that’s all for now and cheers!